Find out how conflict drives any story. If a story were a bus, conflict would be the driver. Conflict steers a story, moves it forward, reverses it, stops it in its tracks, and slows or accelerates the pacing. More importantly, conflict keeps readers glued to the page. Readers want to see how the characters will deal with conflict. Will they find solutions to their problems? Overcome their challenges? Resolve their issues? Stories contain conflicts large and small, from an impending threat that would wipe out life on planet Earth to minor scuffles in which characters can’t agree on what to have for dinner. When well crafted and worked deftly into the plot, any kind of conflict can be interesting. Conflict makes life difficult for the characters, providing obstacles for them to overcome and challenges they must face head-on. It’s obvious that conflict is at the heart of any plot: the hero must overcome the antagonist or the central story problem. But the core conflict often looms over the many smaller conflicts that are peppered throughout a story, obscuring them. Let’s look at Star Wars: A New Hope as an example (spoiler warning!). The story is set amidst an epic conflict between a rebellion and an authoritarian regime. The story’s hero, Luke Skywalker, finds himself caught up in this conflict as he sets forth on a journey to become a Jedi knight. Conflict abounds in the story: Luke’s uncle won’t let him go to the pilot academy; the new droid runs away and Luke must find it; the sand people attack Luke; his farm is raided by Stormtroopers who kill his aunt and uncle; Luke gets assaulted by strangers in the cantina; he embarks on a friction-riddled relationship with the smuggler Han Solo. And those are just a few examples of conflict from the first act. Conflicts large and small thwart Luke and his companions along every step of their journey all the way through to the end of their story. Some conflicts are more challenging than others, but this constant onslaught of conflict makes the characters’ path through the story’s events challenging — and interesting. Some conflicts result in failure; others lead to success. Ultimately, the payoff is worth it: Luke begins learning the ways of the Force, rescues the princess, and joins the rebellion to help them destroy the Death Star. Victory is sweet. The conflicts in Star Wars range from interpersonal (friction between Luke and Han Solo) to physical (the scuffle with patrons in the cantina) to internal (Luke faces an internal struggle in which he must choose between joining the rebellion or remaining on his uncle’s farm) and environmental (Luke and his companions get trapped in trash compactor on the Death Star). When looking for more conflict to bring into our stories, we need look no further than the plot, characters, and setting that we have established. 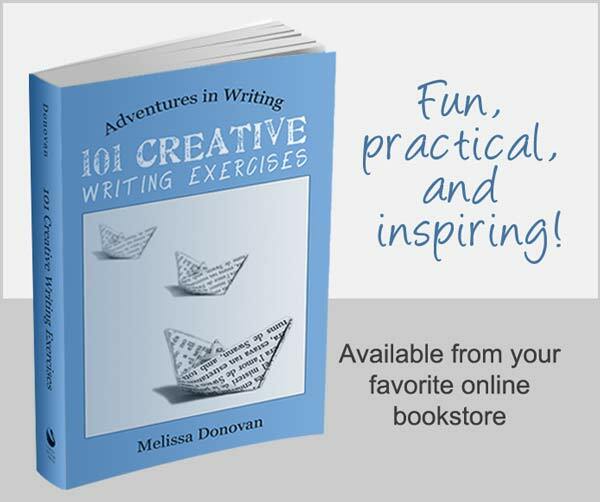 The plot, or events in the story, provide conflict by creating challenging situations for the characters. Characters are perhaps one of the richest sources of conflict. From love triangles to minor arguments to major blowouts, relationships are fraught with friction. The story world, or setting, often provides ample conflict — from major events, such as natural disasters, to minor inconveniences, like a leaky roof, a story’s setting can present plenty of conflict for the characters. Every conflict heightens readers’ engagement, because in large part, we read to see how the characters will resolve the many conflicts that arise throughout a story — the big ones and the little ones. That doesn’t mean you should stuff your story with conflict just for the sake of doing so. 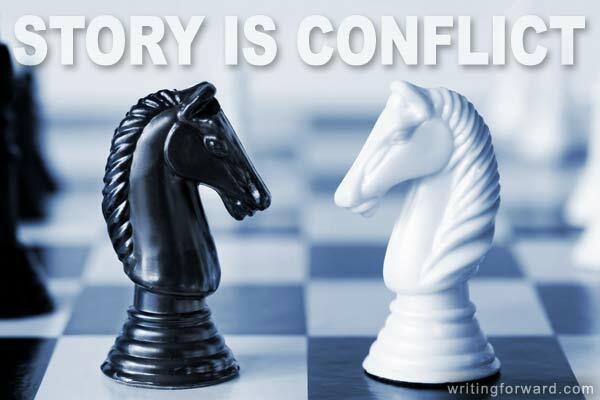 Each conflict should move the story toward its ultimate conclusion. You might find dozens of opportunities within a story where two characters might disagree with each other, and these conflicts could be interesting. But how do they contribute to the characterization, the plot, and the themes — or do they? Conflict is good for story, but it needs to have purpose or meaning. It needs to support the story. How do you approach conflict in your stories? Do you focus on the central conflict and let other conflicts arise naturally? Do you find yourself going off on tangents based on minor conflicts? 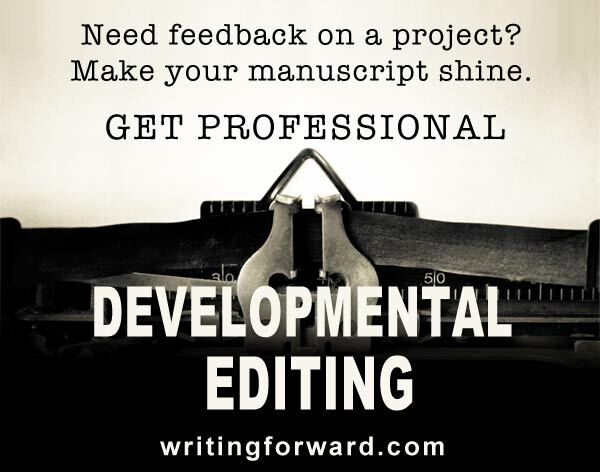 Share your experiences with story conflict by leaving a comment, and keep writing. The challenge is when the payoff for the conflict happens later in the story. I’d say the longer the reader has to wait, the larger the payoff should be. I agree with the writer. Conflict is what makes the stories engaging, intriguing and interesting. whether or not the protagonist is able to overcome the conflict is a different story altogether. Stories have to be laden with enough conflicts. Thanks for sharing your thoughts, Pratik.